Let's take a little trip through Europe, shall we? 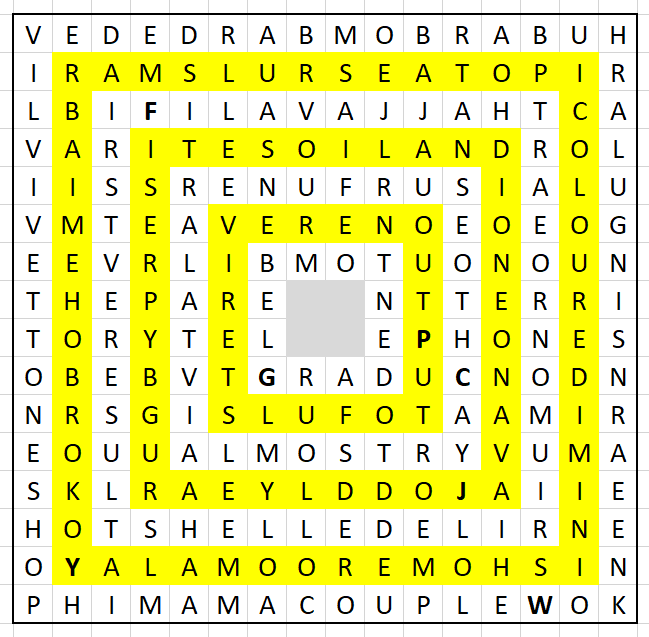 Each level forms a word chain. 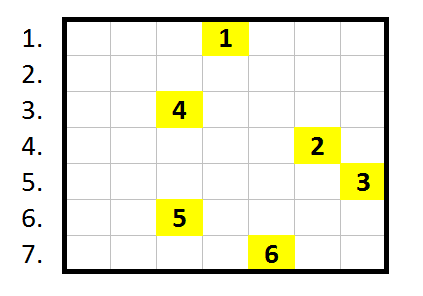 Even-numbered levels (yellow) go clockwise, odd-numbered ones (white) go anticlockwise. Each level has an answer which points to a certain region of Europe. 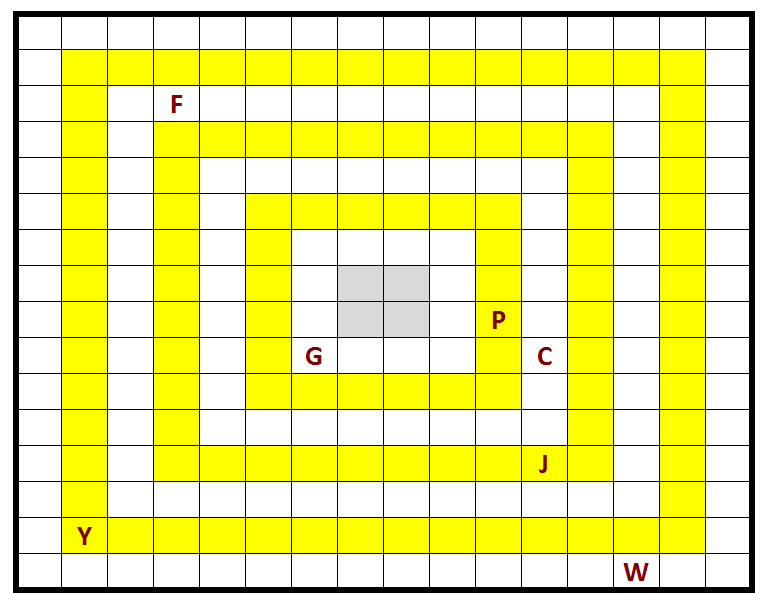 This answer always covers the two central squares of the left column when the answers are put correctly in the grid. The seven regions are the BRITISH isles, the IBERIAN peninsula, the BENELUX countries, CENTRAL Europe, the BALKANS, the BALTICS, and EASTERN Europe (not necessarily in this order). across the middle THE PARENT TERRITORY TELEPHONES which (as one of only two possibilities, really) we can reword as THE MOTHERLAND CALLS, the name of a large sculpture in Volgograd in Russia. and read off letters according to the numbers given to get RUSSIA. Thanks to @Tom for providing, in comments, the key observation for one clue I'd been unable to get. (I don't know whether Tom solved the clue as well; I expect so.) And then for pointing out (politely) the idiocy of the answer I proposed and showing me a better one :-). CAUTION: This post may contain URLs, spoilers and encoded words. words from the previous pages. Not the answer you're looking for? Browse other questions tagged wordplay knowledge cryptic-clues geography or ask your own question.